The Maltese journalist, Daphne Caruana Galizia that exposed the tie of Malta links to the offshore tax havens through the leaked Panama papers was killed on Monday, when a car bomb exploded in her car. 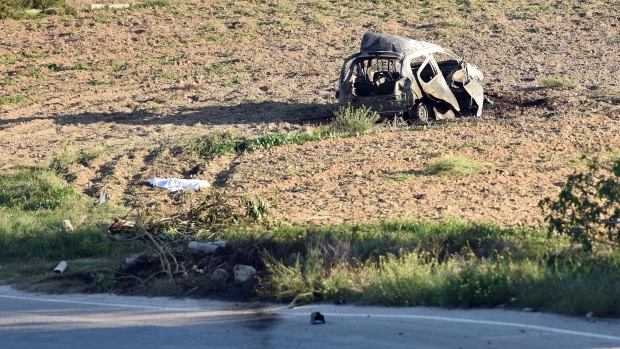 Daphne Caruana Galizia, the 53 year old journalist, according to Prime Minister Joseph Muscat, had just driven from her home in Moscat, a large town of Malta Island when the bomb went off, spiralling the car wreckage over a wall, and into the field. Prime Minister Joseph Muscat described the death of Daphne as a "barbaric attack" and an assault on freedom of expression. Muscat also described Daphne as one his "harshest critics, on a political and personal level"
During the Panama leaks, different world leaders were exposed to have had offshore accounts, which seems illegal in their countries. Some of the implicated leaders include the former prime minister of the UK, David Cameron and a close friend of the Russian president, Vladmir Putin. Galizia had exposed Michelle, the country's first lady, country's energy minister and the government's chief-of-staff had offshore holdings in Panama that is used to receive money from Azerbaijan. The prime minister and his wife denied Galizia story. Before the accident, Galizia had written about the libel claim the chief of staff of the prime minister had bought against a former opposition over comments the latter had made about corruption. Galizia herself had been sued different times. Galizia had been sued for libel over the article she wrote. Adrian Delia sued her for libel when she wrote an article over his prostitution racketeering in London, and economy minister sued her an article she wrote that that minister visited a brothel on his visit to Germany on government business. Two weeks ago, Galizia reported that she was receiving death threats. The prime minister have now sought help from both the US Government and FBI to help investigate the car bombing. Daphne Caruana Galizia is survived by the her husband and three sons. One Son Matthew, was on the International Consortium of Investigative Journalists team that won the Pulitzer Prize for their work on the Panama paper scandal.